The new immigrants [olim] who arrived in Israel on Tuesday have the support of their families in North America: "If not now, when?" On Monday at JFK airport in New York, parents and friends shared an emotional farewell with their friends and family as they boarded the plane to Israel, making their Aliyah dream a reality. 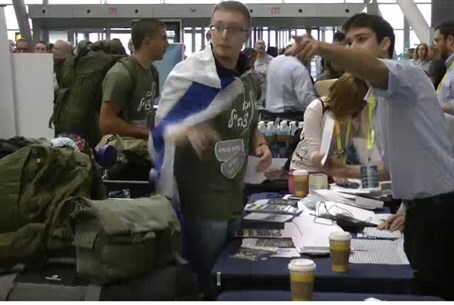 The Nefesh B’Nefesh organization that helped these Olim become Israeli citizens held a small ceremony at the New York airport for the departing immigrants.